Big Hair and Books: It's Monday! What are you reading? I'm reading Liar & Spy by the talented Rebecca Stead. I fell in love with When You Reach Me --along with the rest of the world! I'm liking Liar & Spy so far! I think I'll be reading all books by this fun author in the future! Now what about y'all? 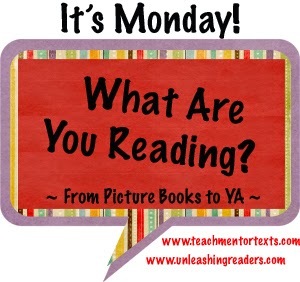 What books are you reading on this fine Monday? Hi there Rosemond, we discussed When You Reach Me in my adult book club here in Singapore. Some of the book club participants fell in love with the story. Thanks for sharing your thoughts.